The long and lazy days of summer are dwindling down and class lists are being sent out. The end of summer means back to school for kids and the adults who work at them alike. While most cats may appear stoic and independent in nature, you or your kids’ sudden disappearance during the day can cause a lot of stress. Here is how to make the transition back to the grind of the school year for your cat as easy and calm as possible. Your cat has probably gotten used to you and/or your kids being around the house more often during the summer. In order to make the sudden seven hours away due to school less anxiety-inducing, start leaving your cat home alone for smaller extended periods of time. Be sure to have plenty of non-destructive stimulation available to him or her, such as a cat tree or a nice lounging spot near a safe window. A few weeks before the school year starts, get your cat a smart toy that requires a lot of concentration for them to figure out. Teach your cat how to use this toy and show that it is a fun experience. 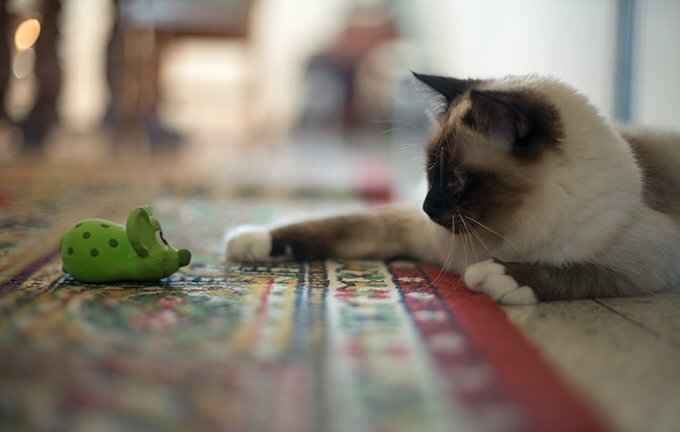 Slowly ween yourself out of the playtime and let your cat play on her own. Be sure to also provide one-on-one play time for more mental stimulation, whether that be with a laser pointer or a little cat-nip toy hide-and-seek. Providing ample mental stimulation will keep bored, destructive tendencies at bay. If you have a safe, secured window, set up a kitty perch near it for your cat to enjoy the great outdoors from inside. 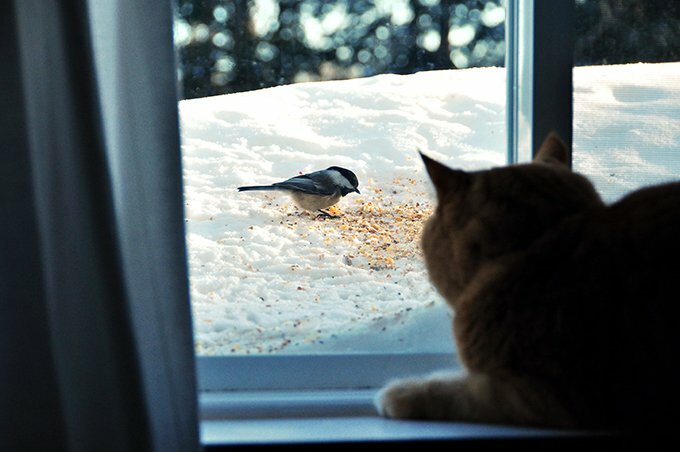 Set up a bird feeder outside the window to provide live entertainment for your cat. Seeing these birds and other small animals, such as squirrels, will provide loads of mental stimulation for your cat when he is home alone. If your cat was used to romping around in the backyard with your kids over the summer, the sudden stop of this routine can be very stressful. Have a discussion with your children about how their presence affects everyone in the family, including your cat. Come up with a plan with your family for a new, school year routine that carves out time for play time with your cat. Cats may not greet you with slobbery kisses when you come home, but they are still highly empathetic creatures. 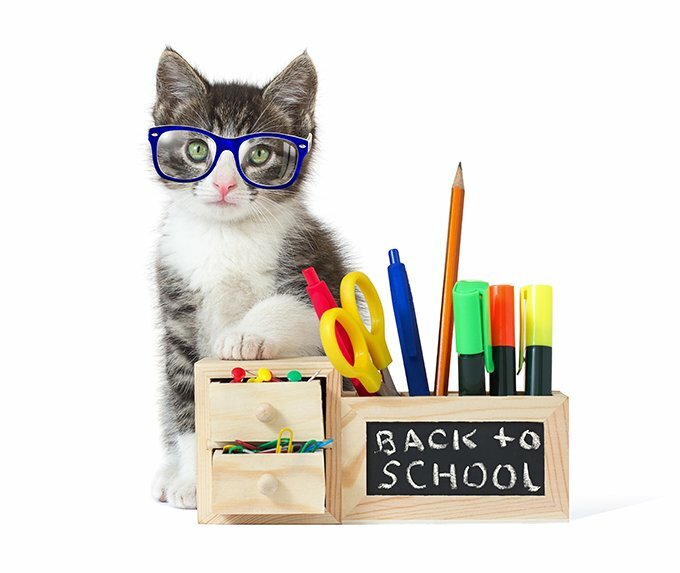 If you have a bad case of back to school blues, your cat will not only pick up on this, but may mirror the emotions as well. By taking care of yourself, you are insuring that your cat will not pick up any excess negative emotions. Getting back into the swing of school can be stressful for everyone. 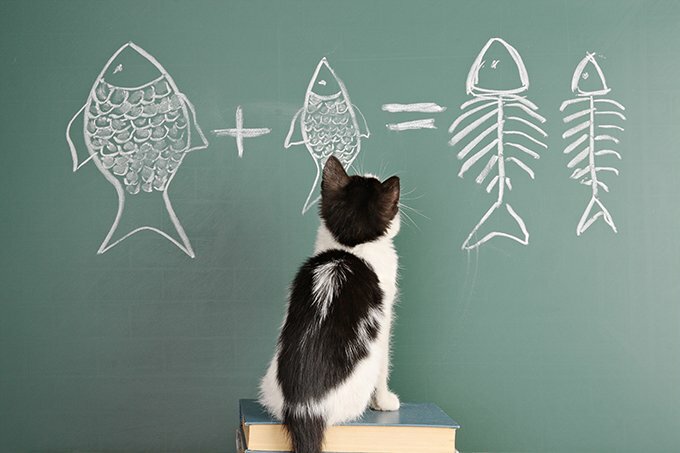 Have you noticed a change in your cat as you and your family are gearing up for the school year? What have you done to make your cat feel more comfortable and safe? Let us know in the comments.